Made entirely from recycled plastic bottles, Weaver Green rugs and textiles look and feel like wool but are perfect for indoor and outdoor use. With an estimated 35 billion plastic bottles finding their way into our seas each year, Weaver Green takes recycled plastic bottles, shreds and spins the plastic into a colourful yarn, and then weaves the yarn into beautiful, soft and enviornmentally friendly rugs and textiles with all the practicality of plastic, but the look and feel of natural wool. 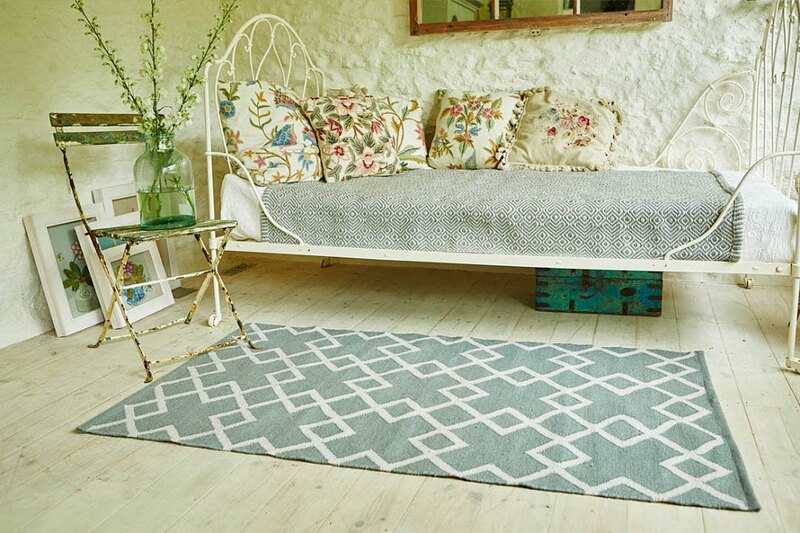 With between 100 and 750 recycled 50cl plastic PET bottles used to make each rug, Weaver Green offer an ethical, environmentally friendly, design-led and practical flooring option for homes and gardens. Better still, they are incredibly easy to clean, stain resistant, hard-wearing and completely waterproof.